The Commercial Litigators’ Forum (“CLF”) was established in early July 2002 by a number of leading dispute resolution practices. It has representatives from all the principal litigation practices participating in its activities. The CLF is now active in London, New York and Moscow. The CLF operates through an informal structure with regular meetings at which events are planned and programmes organised. Law firms are kept in contact through e-mail and the Forum is open to new initiatives or lawyers who wish to become further involved in the management of the organisation. A current list of the committee members can be viewed within each city’s page, above. For any further information regarding the CLF, please email enquiries@commerciallitigatorsforum.com. The project has officially launched! If you are interested in sponsoring a page, please email enquiries@commerciallitigatorsforum.com. Private Dinner at The Ivy on Tuesday 16 October 2018 to celebrate 16 years! Members of the Rolls Building Disclosure Working Group including The Hon. Mr Justice Knowles and others discuss the pilot in relation to modernising disclosure under CPR Part 31 for the Business and Property Courts. 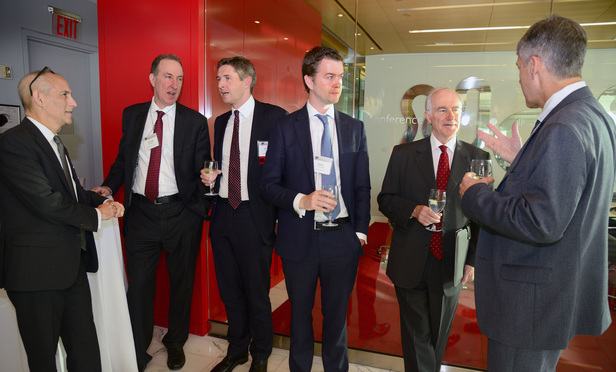 Left to right: David Molton- partner at Brown Rudnick; Hilton Mervis-partner at Arnold & Porter; Roger Kennell-partner at Brown Rudnick; Paul Convery-partner at William Fry; Justice Blair and Stewart Aaron-partner at Arnold & Porter. On 22 September 2016, a discussion was held between UK and New York lawyers at the Times Square offices of Brown Rudnick LLP. A key topic of conversation was whether a specialized financial court would be useful to establish in the US. The Hon.Mr.Justice Blair discussed the benefits of the new Financial List in the High Court of England and Wales, a new UK business court which began in 2015, with expert judges hearing and ruling on complex business cases relating to derivatives, sovereign debt and other complex financial disputes. Concerns were raised by the New York lawyers regarding potential ‘judge shopping’ and the necessity of having a specialised court in the US seemed less apparent in view of the current system of federal judges handling such cases. The New York Commercial Litigators Forum panel discussion on “What Makes A Great Litigator”. From left to right: John Baughman, Partner at Paul, Weiss, Rifkind, Wharton & Garrison LLP, P.J. Mode Jr., Special Counsel, Citigroup, Catherine McGregor, Managing Editor of Chambers & Partners and the Honorable Lewis A. Kaplan, US District of New York. 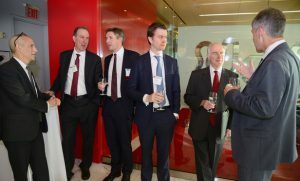 On 20 June 2013, the inaugural meeting of the Commercial Litigators’ Forum (CLF) in Moscow was held at White & Case offices. 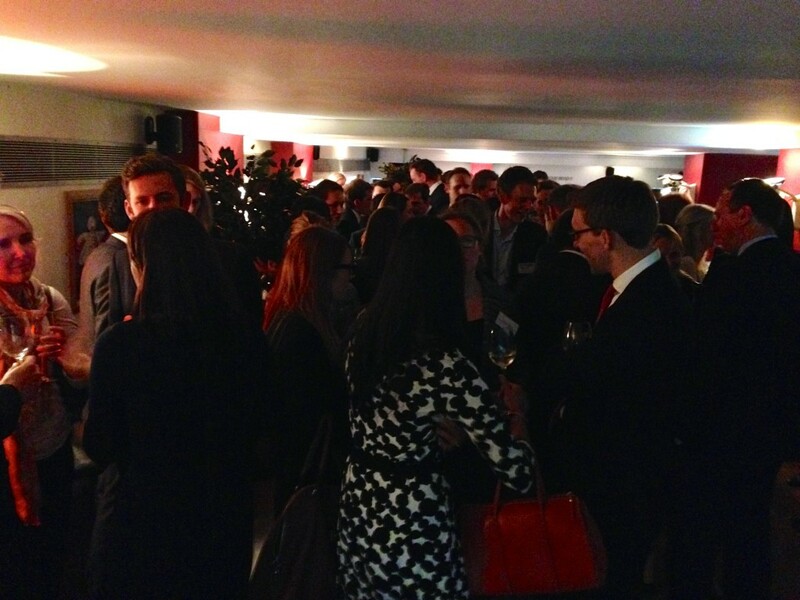 The event attracted attendance form Russia’s leading litigation practices and from London based law firms. Those launching the CLF in Moscow hope that it will be a forum for promoting further interaction amongst leading Russian practitioners as well as amongst lawyers from London and New York. White & Case partner David Goldberg and Hilton Mervis, partner Arnold & Porter, are leading the project. 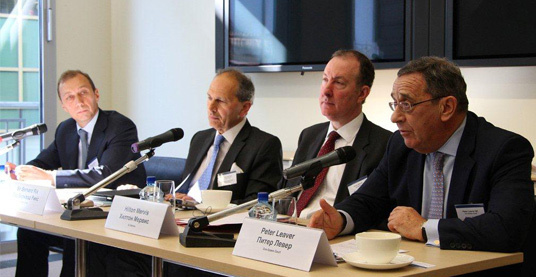 The panel of the inaugural meeting included esteemed guests of honour from London: Sir Bernard Rix QC, a recently retired Lord Justice of Appeal, and Peter Leaver QC, a former Chairman of the Board of the LCIA. The meeting was attended by lawyers from leading international and Russian law firms. 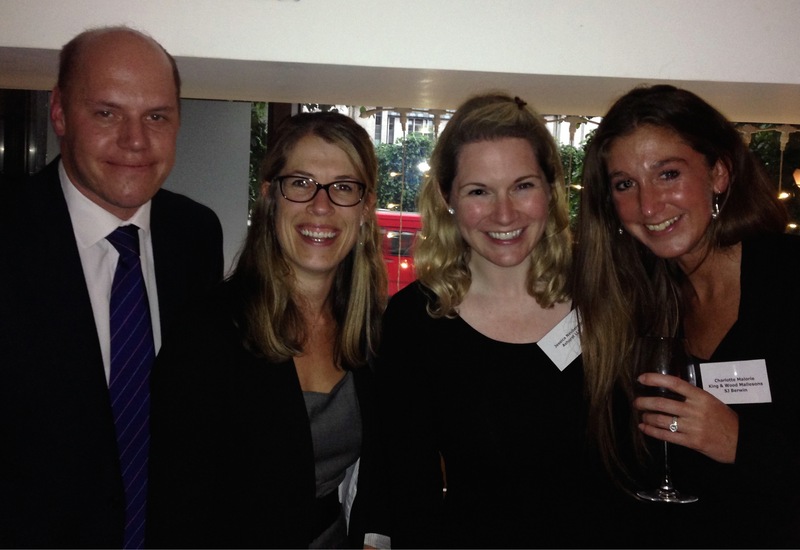 The launch event resulted in an oversubscribed party restricted to three associates from each law firm meeting at the Wine Tun on 28 May 2014. Pictures below and thanks to the event committee members: Jessica Neuberger, Ashurst, Charlotte Mallorie Arnold & Porter, Jason Woodland, Peters & Peters and Emily Hudson, Eversheds. A web page for the associates committee is in the process of being created.